Headquarters Expansion – Global Mobility Solutions (GMS), a leader in corporate relocation solutions and technology, held an Open House Wednesday, September 20th, to celebrate its headquarters expansion. The Open House ran from 3:00 pm to 5:00 pm and Guest of Honor was Jim Lane, the Mayor of Scottsdale, performed a ribbon-cutting ceremony to officially commemorate the new office. 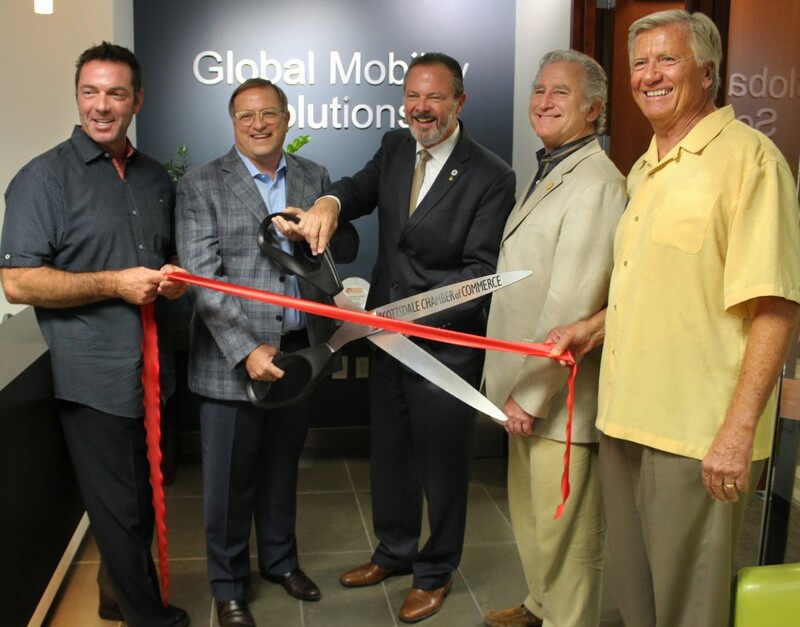 Global Mobility Solutions ribbon-cutting ceremony. (From left to right) Rich Ganley, GMS Founder and Board Member; Steven Wester, GMS President and Board Member; Jim Lane, Mayor of Scottsdale; Mark Hiegel, President and CEO of Scottsdale Chamber of Commerce; Steve Ziomek, GMS Founder, Designated Broker, and Board Member. GMS president, Steven Wester, praised his staff and network partners for their role in the expansion, and stated that the company shows no sign of slowing its growth. Mark Hiegel, President and CEO of the Scottsdale Chamber of Commerce, also provided some words of congratulations before Mr. Wester invited the guests to tour the office and enjoy the food and beverages. This event provided an excellent opportunity for clients and network partners to meet the individuals with whom they do business, and for neighboring companies to learn about Global Mobility Solutions. Founded in 1987, Global Mobility Solutions is a relocation management company that specializes in supplier management and relocation program development. The company’s relocation services include global assignment management and domestic relocation management, as well as a range of pre-decision solutions and relocation technology applications. 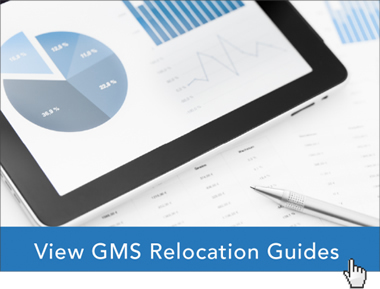 To learn more about how Global Mobility Solutions can help you with your relocation management, contact us now.